Property 11: A little home from home in the stunning Limousin, the Lake District of France. Property 16: Weir Cottage: Private Lakeside Gite In Idyllic Location. A Great Place To Relax! A riverside house in Bellac by a park with lovely views of the medieval town. Property 20: A riverside house in Bellac by a park with lovely views of the medieval town. The Cottage "Maison Lavaud" is located in the Haute Vienne, Limousin. Property 25: The Cottage "Maison Lavaud" is located in the Haute Vienne, Limousin. Property 30: Family Friendly in Idyllic Setting with Private Pool and Large Garden. Property 31: Holiday Cottage with Scandinavian Hot Tub for exclusive use of guests. 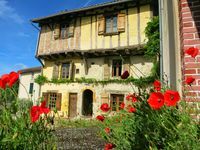 Property 36: Gite in the heart of historic Bellac, sleeps 6, pets welcome. Property 43: Gite Le Segur has a homely feel with a modern standard. Beautiful barn conversion with private courtyard and pool. 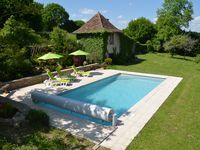 Property 48: Beautiful barn conversion with private courtyard and pool. Great house, very unique, everything to make a perfect vacation house. The house had everything you needed plus a few you didn't know you needed. Super comfy beds and linens.